how do you change the FOB battery? Your profile indicates a 2008 Corvette. 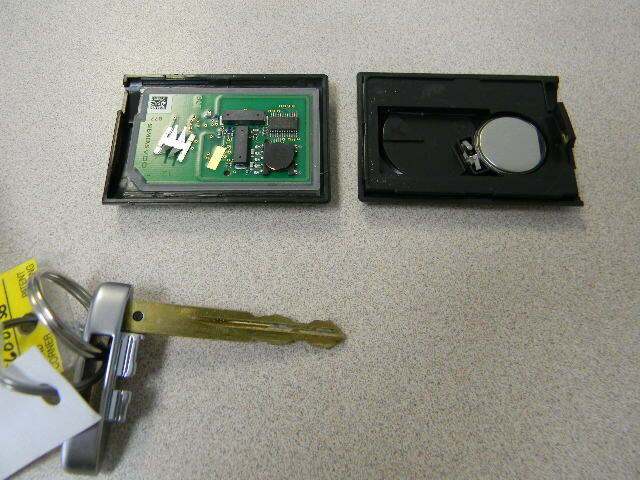 You need to remove the key from inside the fob, you'll need to remove the metal top of the fob which holds the key. One that is done you should find a small slot on the side of the plastic portion of the fob where the buttons are and pry the two halves of the fob apart. Once inside you will see the battery. It is a CR2032. Just take out the old battery and put in a new one (noting the orientation of the old one.) Snap the fob halves back together and put the key assembly back in. Just open the case. You should see a little slot on the upper side for the older remotes and a tiny little slot in the side of the newer style to let you get a little screwdriver in to open the case. Looks like this opened up ! My Corvettes. 63, 71, 73, 78. Information from the 2 previous posts may be found on page 2-9 of the 2008 owner's manual. Manual ??? Who ever reads those ?? It's much more fun to hang out here !! True, but sometimes folks need a little extra info. If only it were that easy to open up. I'll caution 46490 that the fob is a $#@! to open up, and be prepared for the fact that you may break it. I have yet to hear a trick that will open a 2008 and later fob every time without fear of breaking one. Mine broke despite trying very carefully to open it. If ratmotortom has a trick that my dealer didn't have I'd like to know. No trick, just a very gentle turn of the smallest screwdriver opens it up. I have yet to break one. Any chance you could post a pic of the screwdriver going into that tiny hole you mention? Are you pushing on any type of tab inside there? I tried using a similar screwdriver on that edge and just ended up gouging the plastic. Patrick, you can actually open the fob without a tool. 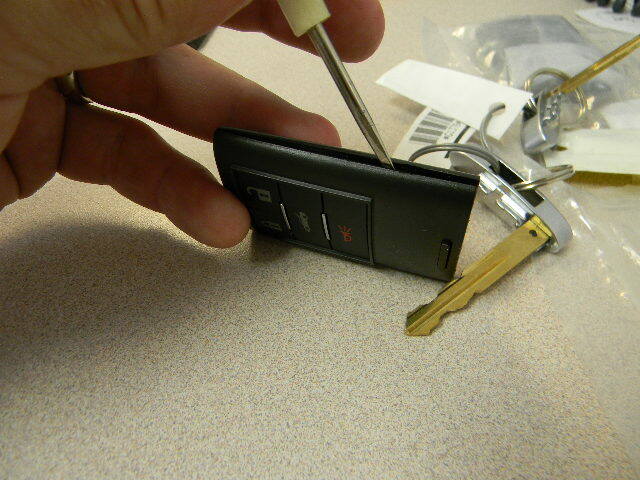 Remove the key end and just pry it with your fingers or thumbs. Heck, you just live up the road a bit in Michigan. Cruise on down here and I'll change your battery and take ya to lunch !! Tried that too. Maybe mine was just extra stuck. Maybe I need to have you order me one and set it up to replace my broken one. You're only 4 1/2 hours away. I just wish they'd made it as easy to open as a 2007 and earlier style. I agree. They could have put a better slot in it. Changed both fobs batteries last weekend. Didn't have any of the problems your mentioning. 2 battery pack at wal-mart around 6 bucks. I just opened my 2008 fob after reading the help here, along with my user manual. The key note is that there is actually a small slot in the groove on the right side of the fob roughly to the right of the horn/panic button and slightly lower. Use a bright light and turn it at different angles to locate it. This is the starting point to use a small screwdriver about the same size as the width of the slot. From there, just work up and down that groove line and it will open no problem. Very happy to have learned this trick and just wanted it to be clear for others so they dont risk breaking their fob trying some of the other techniques mentioned. Good luck and post your results of success! I just changed my FOB battery yesterday. I used the can opener tool in my Swiss Army knife in the Home Depot parking lot. Seemed to be the right tool for the job, and the center console was an adequate work surface. Or course it might have been a different story had the internal parts of the FOB had fallen in between the seats. May have just been a seat of the pants, but I definitely gained 8-10 horsepower with the upgrade!